Earlier this year Tim Ma sold Maple Ave Restaurant to his former employees Juste Zidelyte, now the executive chef, and Ricardo Teves, server-turned-GM. Ma, still an investor, relinquished culinary control, though fans of the 30-seat Vienna restaurant can still find many of the signature dishes: creme fraiche wings, shrimp and grits with blueberry sausage and scallops with coconut risotto and basil ice cream. Zidelyte will keep the modern American, globally influenced menu as she taps ingredients from her native Lithuania (currants, beets, mushrooms) and offers Argentine empanadas as a nod to Teves’ homeland. Duck leg confit is juicy, salty meat, and caramelized little chips of Brussels sprouts remind me why this cabbage became popular in the first place. At lunch, braised beef cheeks are so tender they disintegrate like cotton candy and are piled within a glistening broiche bun with crispy onions, bits of crunchy lettuce and a creamy garlic aioli. The side of fries is not an afterthought: beer-battered and seasoned like a French roast chicken, complete with lots of salt, pepper and herbs. Ma might not be there anymore, but Maple Ave is still beating. 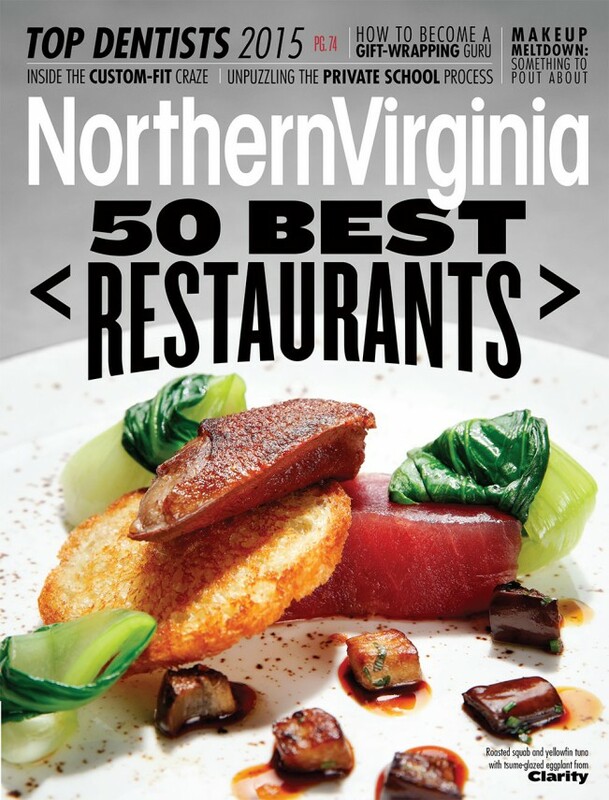 This entry was posted in News and Accolades, PRESS and tagged 50 best 2015, 50 best restaurants, Northern Virginia Magazine on November 29, 2015 by Maple Ave Restaurant.